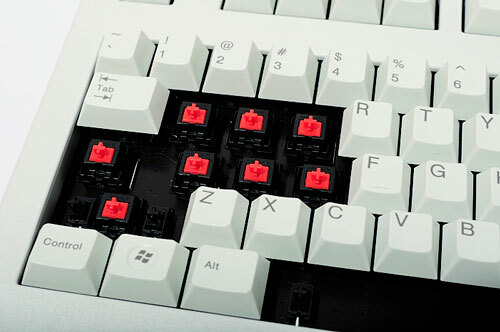 The famed mechanical keyboard switch manufacturer Cherry has been around since the 1950s—but it's only been defined by keyboard switches in the past decade. Editor’s Note: Tonight’s Tedium is a piece of mine that recently ran in Motherboard, a site that recently ran a cool piece on a counterfeit iPhone X. Enjoy! Tonight's GIF is taken from a video of a guy using a Cherry keycap tester, which is a product you can actually buy. 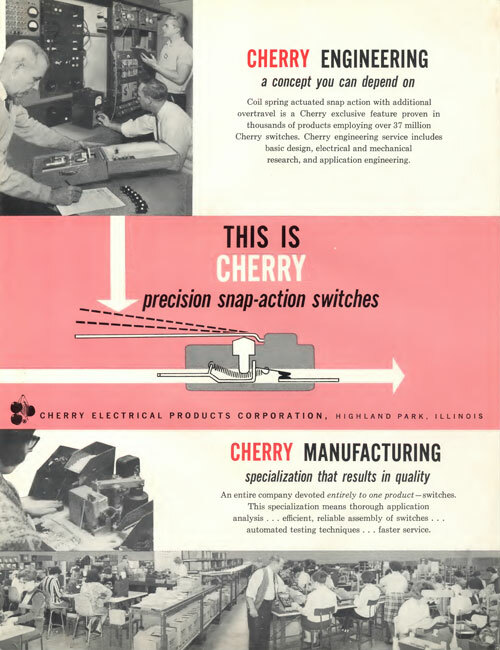 The year that Cherry Electrical Products was founded in the basement of a Highland Park, Illinois, restaurant. The founder of the company, Walter Cherry, had long fostered an interest in electrical engineering but was discouraged from following that career path in the 1930s by his parents, who thought that everything notable with electricity had already been done by Thomas Edison. Turns out his parents were wrong. Even if his parents did show skepticism toward Walter Cherry’s desired career path, it only makes sense that Walter became an entrepreneur. That’s because it wasn’t the first big company named after a member of the Cherry clan. The J.G. Cherry Company, named after Walter’s grandfather, was a major dairy supply firm that started in 1898 in Cedar Rapids, Iowa. His father, Walter Sr., served as the firm’s president when it became known as the Cherry-Burrell Corporation in 1928 after a series of mergers. And while the firm is best known for its keyboards today, these switches look nothing like the perfectly clicky mechanisms that Massdrop fans and heavy writers have been fawning over for years. So where were they used? A notable example of a place where you’ve probably unknowingly used a Cherry microswitch is an arcade. 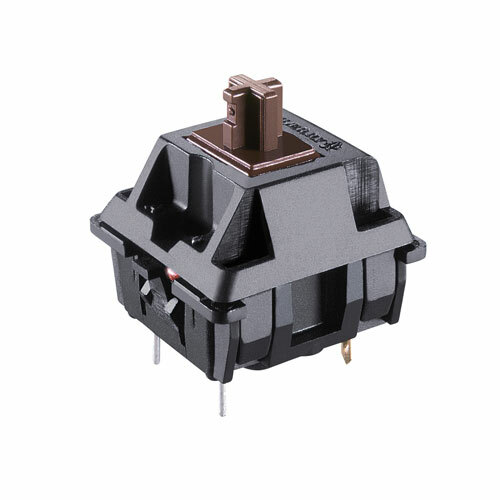 But those switches were by no means limited to novelties—from industrial firms to household appliances, microswitches were common, and Cherry’s microswitches were the gold standard. These devices have enough of a cult following that when popular YouTuber Clint Basinger published a satisfying 10-second clip of himself pressing a 1959 Cherry switch earlier this year, it got more than 200,000 views—not bad for a guy who usually does much lengthier analyses of old video games and hardware on his channel Lazy Game Reviews. 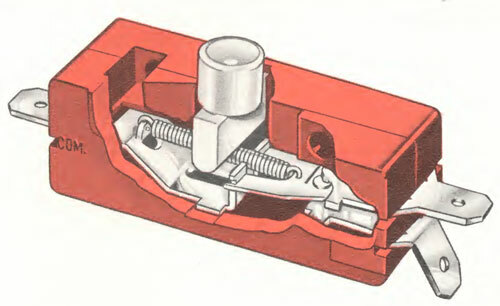 Whether or not you’ve actually seen a Cherry switch before today, you’ve most assuredly used one, and it helped drive much of the company’s growth. By the 1980s, Cherry’s switches, sensors, and semiconductors (among other devices) were even showing up in cars that were becoming increasingly advanced. In a 1981 Chicago Tribune piece, Walter Cherry noted that his company was supplying Ford and other companies with switches for air conditioners, power locks, and power windows. The company spent millions of dollars building out parts for the auto industry, which the firm saw as a growth field. Cherry’s automotive business was soon flourishing and, in the 1990s, represented one of its most important business lines. In 2005, the company, which grew many international arms over the years, was producing 80 percent of the electrical switches in European automobiles. This doesn’t sound like the origin story of a computer hardware company. So why is it that Cherry is a name so closely associated with keyboards these days, rather than automotive parts? That’s where the story of Cherry gets a bit complicated. The year that Cherry received a patent for its first keyboard switch, part of a line that came to be known as the M6. This eventually gave the company, built around industrial components, a way into the direct-to-consumer market. (Though the keyboards it made didn’t always go direct to consumers, of course; the company to this day produces models intended for narrow spaces like healthcare and point-of-sale systems.) The company, which gained numerous international arms by the 1990s, had for a time lost interest in keyboards as a business line. The company eventually moved its keyboard manufacturing facilities to Germany, allowing Cherry to call its keyswitches “German engineering” despite being a company with American roots. Walter Cherry, who had gained a reputation as a strong manager and a shrewd investor in the global market during the early days of the company, moved back into research and development in the years before his 1996 passing. While the firm was very much a family business at the time he died, with Cherry’s son Peter serving as chairman, it eventually morphed into its current keyboard-focused form thanks to a 2008 merger. That year, Cherry Electronics was sold off to a German firm called ZF Friedrichshafen, a company that primarily specializes in parts for automobiles not unlike those that Cherry long produced. The purchase eventually led ZF Friedrichshafen to refocus the Cherry brand on a line of business that had nothing to do with the automotive parts—the keyboard business that Cherry was instrumental in spearheading, but eventually pushed off to the side in favor of more attractive markets. It turned out that, as computing became increasingly focused on customization, keyboards were plenty attractive on their own. And the decades of work that Cherry put into keyboards came in handy in a DIY-friendly era in which people were willing to spend extra money on keyboards that felt and sounded just right. As Apple and Microsoft went thinner with their keyboards and used less satisfying pressure-sensitive membrane pads, Cherry’s keys stayed nice and springy as it continued to use discrete mechanical switches. It was the MX switch, a device that the company first built in the 1980s, that came to define the Cherry name. 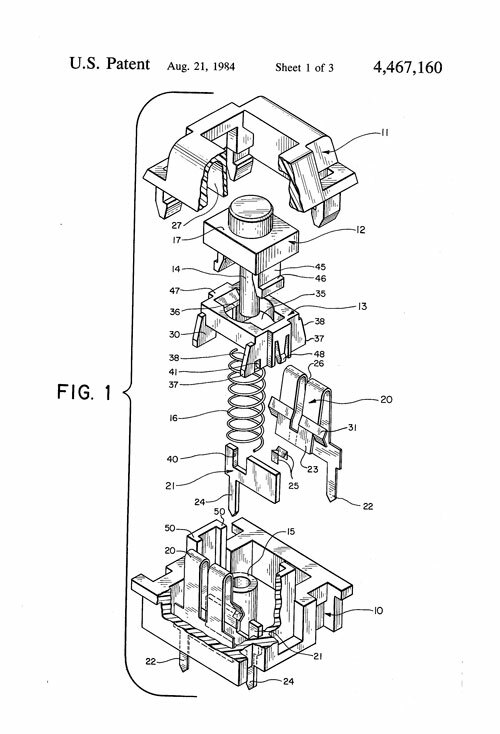 Patented in 1984, the device represented a culmination of much of the company’s work on switches as a form of input. Famously available in a wide array of colored variants denoting unique qualities of the switch—most notably the low-force Cherry MX Red, the clicky MX Blue, and the tactile-but-quieter MX Brown—the keys found interest among hardware tweakers and use in mainstream keyboards. Weekend warriors with a desire to build their own keyboards suddenly were interested in these keys, and so were the gamers that shaped the PC industry’s interest in high-end graphics and sound in prior decades. So, too, were folks who simply wanted a useful keyboard that carried as much heft as the words they were writing. Cherry keyswitches, which can be bought in bulk at prices not much more expensive than actual cherries, allowed for keyboards that both felt good and weren’t required to look a certain way. Whether Cherry’s role in this budding phenomenon was a happy accident related to a merger that forced a more narrow brand focus or an organic phenomenon led by a mixture of online influencers and word-of-mouth interest, the result is that in 2018, keyboard switches are more relevant than ever—particularly those made by Cherry. This point is reflected, of course, by Cherry’s recent business history. By the time Cherry was acquired by the private investment firm GENUI in 2016, the news release announcing the acquisition did not mention a single thing about automotive parts. It was all keyboards, all the time, and that meant the firm was no longer a real fit with ZF Friedrichshafen. The old switch and sensor business, producing devices used in areas as diverse as automobiles, vending machines, and power tools, still lives on, with ZF Friedrichshafen keeping that business line but rechristening it under the ZF brand name in 2016. Cherry’s emergence as a keyboard business was so dramatic that it’s hard to blame ZF for the business-line split. In 2015, the company's computer input business, built around the Cherry MX, was responsible for more than €80 million ($94 million) in sales. Considering many tech users see mechanical keyboards as being somewhat niche, that’s a lot. ZF Friedrichshafen’s 2008 acquisition of Cherry completely transformed a switch company with American roots into a keyboard company that looks more distinctly German in nature. These days, the company is German enough that YouTube tech icon Linus Sebastian showed up at its factory a few years ago decked out in lederhosen for some reason. To put it simply, the company has a completely different shape from when it was a purely independent firm. When Walter Cherry died in 1996, he likely passed away in the belief that his legacy was in building an electronics company that specialized in creating parts for industry; a company that built lots of little machines that helped the big machines work. But slightly more than two decades later, the average consumer, if they know Cherry, thinks of the company as primarily building one type of little machine, and doing so really, really well—keyboards. The company still carries its founder’s DNA, but the beast is completely different. Somehow, the Cherry brand name became more prominent and distinctive as a result of this complex array of business-line shifts. Usually the opposite happens—and that’s why it makes a fascinating case study compared to today’s startups, which often feel like they grow and thrive in very similar ways. Cherry didn’t just show up on Product Hunt or Kickstarter one day; it put in more than 60 years of hard work before many tech enthusiasts took notice. The tale of Cherry is one where a business-to-business, or B2B, company somehow became a business-to-consumer, or B2C, firm. But it also reflects something else. It shows the way that, even as computing becomes smaller and more touch-oriented, there will always be those who prefer something with a little more heft. 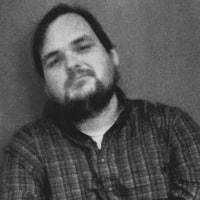 Sure, the company has its skeptics, those who think the keyswitches have gone downhill over time and have the statistics that seem to prove it, but it also has a whole lot of fans who would rather use the little machines that react to their every tap than use something that feels like a mound of mush. To put it simply, a world with many moving parts is a world in which a company like Cherry thrives.